Blogging has evolved from being a mere online fad for journalist wannabes into one of the most effective digital marketing tools for businesses to provide information and interact with their targeted audiences. 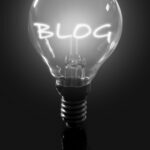 Blogging has grown to tremendous popularity that up to 55.76% of companies in the B2B market actually have and maintain blogs. 56.52% of digital marketers from these companies acknowledged the importance of blogging as a marketing channel and 79% among the best of these marketers rank blogging as their most effective marketing technique. 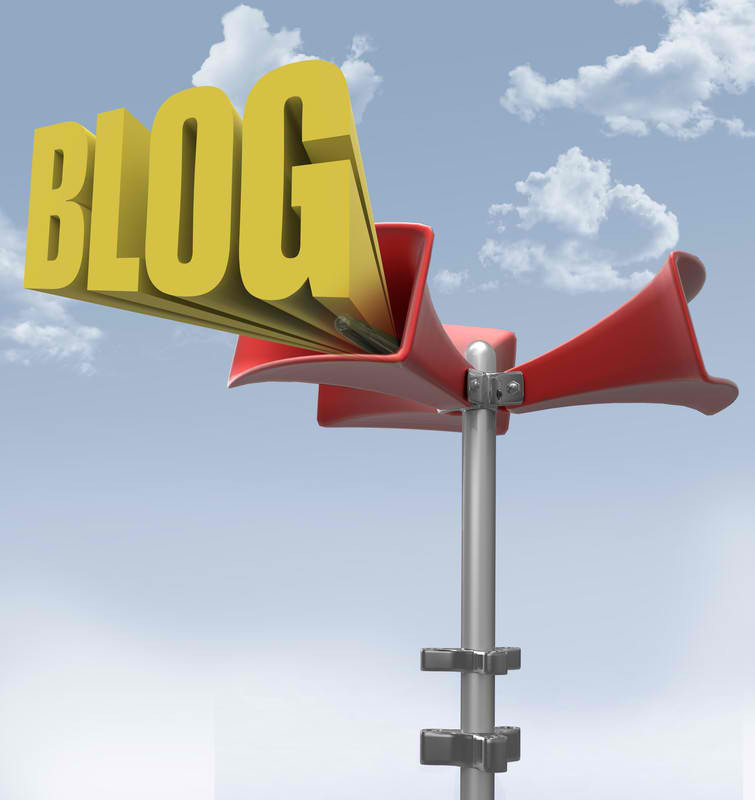 The reason behind such accolade stems from how effective blogs are in engaging targeted audiences. B2B companies with blogs enjoy generating up to 67% more leads from their competitors who don’t own blogs. This is because up to 57% of adult online users in the United States read blogs and two-thirds claim blogs influence their purchasing decisions. In fact, up to 61% of consumers in the US have already made a purchase based on what they read from a blog post. Despite these figures, many digital marketers still wonder why they’re not getting the traffic they want to their blogs. 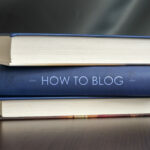 The problem may lie in how effective they market their blog content. They may get better results if they use Social Media as a promotional channel. The market here is indeed tremendous with at least three-fourths of all online users use at least one social media channel – with the likes of Facebook (809 million visits per month) and Google+ (1.2 billion visits per month). Google+ and Facebook are not the only major social media players in town for promoting your blog. 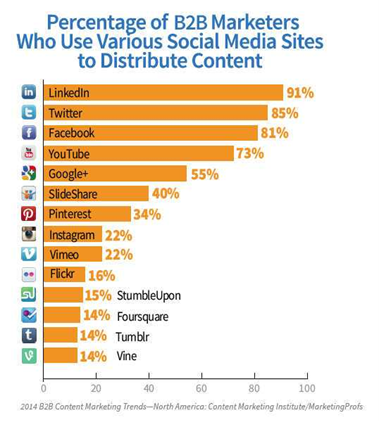 There’s Twitter and LinkedIn where at least 45% of digital marketers in the B2B market gained at least one customer. There are however certain considerations in using social media for promoting your blog content if you want to get good results. Digital Marketing Philippines sums up the following Do’s and Don’ts that will guide you through this process. The “social” in social media means interaction, and interaction means two-way. Using social media to promote your blog content means interacting or engaging with your targeted audience – which can only happen if you have a clear understanding of who your targeted audience are. You need to “listen” to them first – what they are interested in; what topics they would most like engaged in; what type of content would get their attention; and a whole lot more of whats that you need to find out. Understanding your audiences will also provide you an insight about their interests and the company, circle or network they would like to keep. It is important that you yourself will get involved in these circles so you can interact and engage better with your targeted audiences. What their social media friends recommend can actually influence the purchasing decisions of at least 28% of social media users – and you can use this to your advantage when you promote your blog content. Once you get a clear understanding of who your social media audiences are, you then need to identify the right social media channel where you can reach out to them with your blog content. The type of social network to select depends on your targeted audiences and there are many social media channels available out there. Visual-based marketing strategies may get good results using Pinterest, while B2C (Business to Consumer) marketing will get better headway with Facebook and Pinterest. If your brand markets to professionals and other businesses then LinkedIn will be your most viable channel just like what 91% of B2B marketers are doing. So choose well and choose what works for your targeted audiences. Up to 57% of companies who have and maintain blogs were able to get leads and customers by promoting their content. 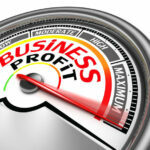 Social networks and blogs open up to a very huge market where users dedicate up to 23% of their total time online. However, you need to post regularly on your social media accounts to keep engagement and interest going, but not so much that it will turn off your audience instead. So, how often should you post content? The graph below can give you some insight. Major brands with a Facebook presence post an average of once per day on their pages. 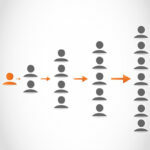 Posting at a frequency too low like once per week or longer will make you lose your connection with your targeted audience. Consumers continuously search for new and original materials or information for whatever purposes they intended. 33% of such online users do find what they are looking for and they get it from social media networks. These consumers will not take notice if your content will just look and give information just like everyone else. Stand out and be noticed by posting high-quality original content that targeted audiences will like and remember. Up to 81% of online consumers in the United States will trust the advice and information they receive from the blogs they read. They do so because of the added value they receive from these blogs. When you post blog content to your social networks, make sure that this will be relevant, interesting and something that your targeted audiences will value. These content should be something that they will look forward to every time they visit your page or profile. Responding to comments to your blog content posted at social media networks appropriately and on a timely basis is a good engagement practice. It is just basic customer service that your targeted audiences will truly appreciate – and yep, even the negative ones. Nothing can piss a customer more, particularly a complaining one, if you ignore or delay your responses to inquiries and comments. It would even piss them off more if you delete their negative comments without resolving highlighted issues first. In this highly connected world, speed in communication would really matter more to online users. Facebook, Twitter and other social media users expect a reply or an answer to a complaint within an hour after posting. It would be good PR practice to respond promptly to comments or provide appropriate answers to complaints. Never argue with your targeted audiences – just inform. As mentioned earlier, social media audiences always look for something new all the time. This principle applies to the type of content you are posting too. Your targeted audiences will eventually get tired and lose interest if all you post on a regular basis are just text-based content. Boost audience interest in your social media pages and profiles by posting different types of content, preferably using a good combination of text, graphics and multimedia. If you don’t want salespeople coming to your doorstep and selling everything right in front of your face, then so would your social media audience. People don’t want to be sold when they socialize and would easily be turned off by someone bluntly selling or promoting their brands, products or services. If you want to nurture a healthy interaction and engagement with your targeted audiences, then do not sell your blog. Post about ideas, concepts, and answers to solutions – get their trust with your content first – and they’ll be interested enough to want to know more about what it is you have to offer. It is important that you remain active in promoting your blog content in social media networks, but be careful not to overdo your postings and updates. In Facebook, posting more than two times per day will be a little too much that your audience would prefer. 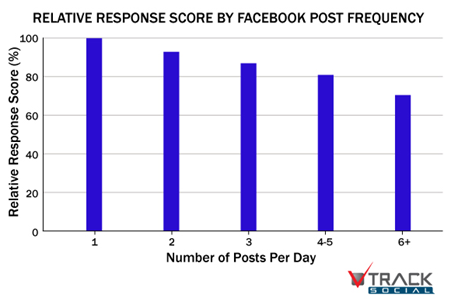 The graph below that is based on a 2012 study indicate the noticeable drop in relative response scores with the increase in the number of posts per day. 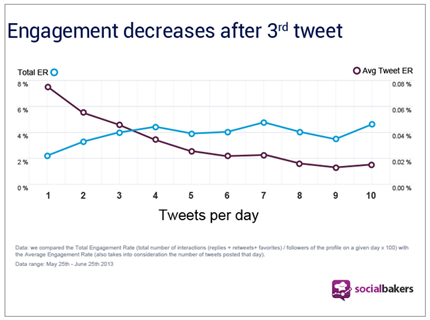 The same social media behavior applies to Twitter as well, where a noticeable decrease in engagement happens if you go beyond three tweets per day. For LinkedIn, 20 posts per month or one post per weekday is ideal for reaching up to 60% of your targeted audiences. 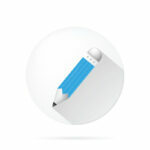 For Google+, the five to ten posts per week Facebook model will suffice. Leave the “liking” to your social media audience. It may look a bit unethical, or pitiful even, if people see that you clicked on the “Like” and “Favorite” buttons of your own posts. If you have employees, let them do the liking and the sharing instead using their own social media accounts (just as long as they don’t use an admin account of your page). This will kick off the generation of social signals that will further set the virality of your blog content and reach even more social media audiences. Spam may be great for breakfast, but not for social media. Do not spam your social media audience – ever. Don’t post on their walls, tag them at pictures, or do any social media activity involving them without their consent and knowledge. Doing so will be the fastest way of losing your audience and targeted customers, and worse, might get you reported, blocked or banned from your social network. Ouch! When you promote blog content at social networks, don’t just post the links to your blog posts or pages. Write a summary with your posted link, providing your targeted audiences with an overview of what they should expect from your post, the key points of your content, or something that would further entice enough interest from them to click on your link and go to your content. Don’t succumb to the lure of programs and applications that would automate the posting of your blog content to various social networks. This practice will make the process easy but it will also “de-humanize” the social element in promoting your blog content. Doing so will make you lose the personal engagement experience that really made social media popular among online users in the first place. At this point, it is important to reiterate that the key to promoting your blog content through social media is still getting good engagement and interaction with your targeted audience. Building relationships, trust and genuine interest from your targeted audiences is what social media is all about – and you can learn from Digital Marketing Philippines’ latest sharing in what you should do and not do in blog content promotion.